Sethupathi-This flick, directed by S.U.Arunkumar of "Pannayarum Padminiyum" fame, once again pairing up with the most happening hero of Tamil cinema of recemt times- Vijay Sethupathi, has received fairly positive reviews all around. Coming to the storyline,the director just keeps it simple and to the point,as he unwinds ceratin twists and turns in the plot at right times,thereby keeping the audience engrossed. Vijay Sethupathi's majestic screen presence and his command over the role certainly boosts the movie big time,and his lovely and cute plays with his children and wife(Ramya Nambeesan)has the audience vouching for a feel-good factor. This certainly has to be credited to the music director,Nivas K.Prasanna,as his soothing and delightful BGMs offer a melodious insight into the personal life of a cop,in the most romantic way possible. "Mazhai Thooralam" glorifies the hardships and difficulties faced by a policeman,albeit not losing his inclination towards his family and job,in a perfect manner. "Hawa Hawa" and "Konji pesida venaam" are also perfect melodies, as Prasanna has hit the right notes with his music. 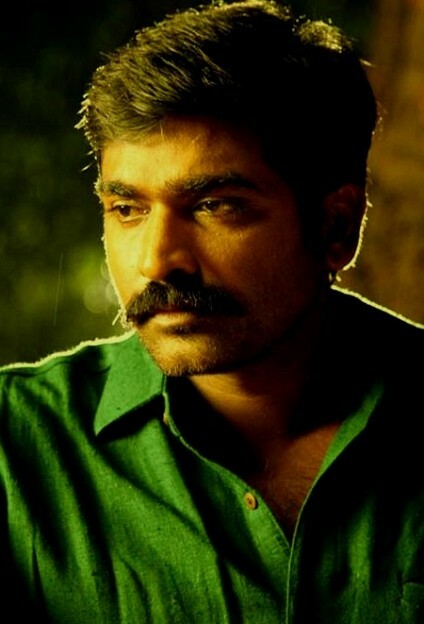 The screenplay becomes racier at the start of the second half,as untoward incidents happen in the life of Sethupathi. The Villain plays with the mind of the cop,and the placement of "Hey Mama"song is commendable. Also a cop story without much fanfare and logic defying action sequences,is a relief,although certain cliches could have been avoided.The character selection of the Villain role could also have been bit planned out as "Vaathiyar" does not evoke hatred,as needed. On the whole,Sethuapthi has more family drama entangled within a mercurial subplot,and sure would be worth your time and money! This page has information about Visitor review of Sethupathi.